Unbridled Forever the Value Choice in Ballerina Stakes: Whenever a talented one-dimensional speed horse is entered, there is always a danger of a duel because the jockeys on other runners with early foot must apply pressure or let the main speed win. La Verdad loves uncontested leads, and it appears unlikely the competition will simply hand the race over if they want the Grade I victory for their horse. Therefore, the Ballerina Stakes (GI) this weekend may set up for a closer, and Unbridled Forever fits the category of one that has a chance. The Ballerina Stakes this weekend may set up for a closer, and Unbridled Forever (pictured above at Saratoga on Aug. 5, 2015) fits the category of one that has a chance. If she wins, a trip to the Keeneland is in order. Saratoga Race Course and Breeders’ Cup Limited offer a number of “Win and You’re In” races on Saturday, which qualify horses for specific events in the October Breeders’ Cup. The Ballerina, for older fillies and mares going seven furlongs, is one of those events and gives the winner an automatic pass into the Breeders’ Cup Filly and Mare Sprint (GI). First of all, cross out Unbridled Forever’s longer route efforts, such as the nine furlongs attempts. They hold little relation to what she tries here, a seven furlong sprint. Her two seven furlongs efforts are solid, although most handicappers will not count the first one because it occurred in 2013 breaking her maiden. The next seven furlong race came at this meet, in the ungraded Shine Again S., where she closed with a wide move and mowed down Stonetastic, one of the main contenders in last year’s Filly and Mare Sprint. Besides those two races around one turn, Unbridled Forever ran third behind Sweet Reason and Sweet Whiskey in the Acorn (GI) at Belmont Park last year. She also ran fifth in her career debut at Churchill Downs two years ago in a one-turn mile. 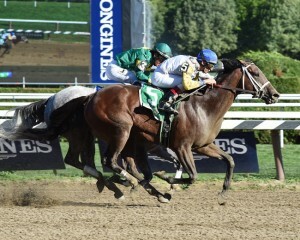 This leaves Unbridled Forever’s one-turn record at 4-2-0-1. For fans of Preakness (GI) runner-up Tale of Verve, Unbridled Forever will appeal to them because the familiar Dallas Stewart trains this filly and Charles Fipke is the owner. In spite of the known connections, Unbridled Forever remains unlikely to go too far below the morning line odds. After all, besides La Verdad eating money, this is Saratoga and Todd Pletcher has an entrant too. Pletcher’s runner is Dame Dorothy, the elongated sprinter and miler who owns a perfect record at seven furlongs out of four attempts. Each of those wins came in quality races, such as the Humana Distaff (GI) at Churchill Downs. Furthermore, this filly wins with more than one style. Dame Dorothy can set the pace and hold on, or rate slightly off the leaders when necessary. Her pilot, Javier Castellano, tends to time his moves correctly and should make the right decisions when it counts. If wishing to backwheel a horse, which usually involves keying a longshot closer in the underneath slots of exotics, Street Story’s form is not terrible on paper. 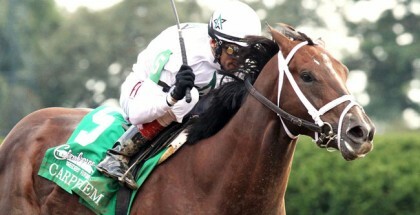 She recently finished second to La Verdad in the Honorable Miss (GII) and to Dame Dorothy in the Bed O’Roses (GIII). Because Street Story prefers to come from midpack, she offers a better chance than the lesser known names in this race like Sarah Sis on the rail. Sarah Sis, a front runner, will be toast once La Verdad runs next to her, and she cannot win from a different position either as horses run better with their usual style. Arguably, Merry Meadow and Room for Me are a bit more versatile in terms of racing position than Sarah Sis, even though their preference is showing speed. Yet, even when speed horses are not directly fighting for the lead, sometimes the pace of the one-dimensional horse is enough to take some starch out of any horse nearby. Going back to La Verdad, despite the lack of versatility, of course she is talented and could very well drill this field into the ground. With the Ballerina being important in terms of prestige and gaining entry into the Breeders’ Cup, it just would be strange if every single other jockey thought, “La Verdad is alone on the lead. Maybe she will get tired.” Her lack of wins at seven furlongs does not help either. Unbridled Forever and Dame Dorothy are the best options here. Use them in all horizontal wagers and focus on those two horses around the top slots vertically. For those still wishing to use La Verdad, she either wins or fails to hit the board. Leave her out of underneath slots. The dam of Unbridled Forever, Lemons Forever, won the 2006 Kentucky Oaks (GI) for Stewart as well. 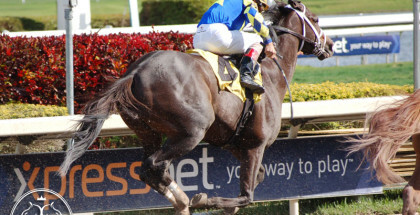 It is nice to see any former major stakes winner with foals running in higher races. Maybe this one can win.